Doberman Dan is a well-known copywriter and direct-response entrepreneur. He was mentored by the famous Gary Halbert. He was a cop for 12 years. He had a lot of failures before his first success (don’t we all?). And he’s been doing this a long time… since 1996. 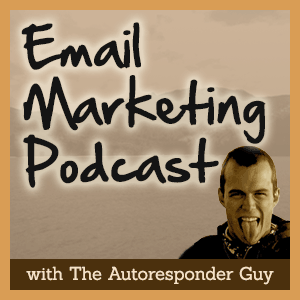 So he has plenty to share about email marketing, including what’s been working over the last 17 years and most importantly, what’s working right now. Dan believes in offending your prospects to get rid of people you don’t want as customers.